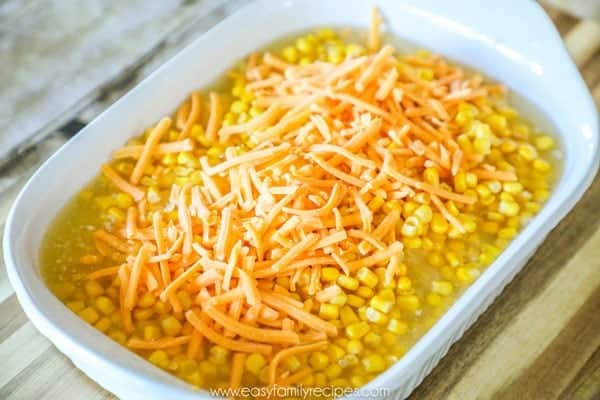 This quick and easy Jiffy Corn Casserole is the BEST corn casserole you will ever have! Made with only 7 simple ingredients, you can have it from the pantry to the oven in minutes. 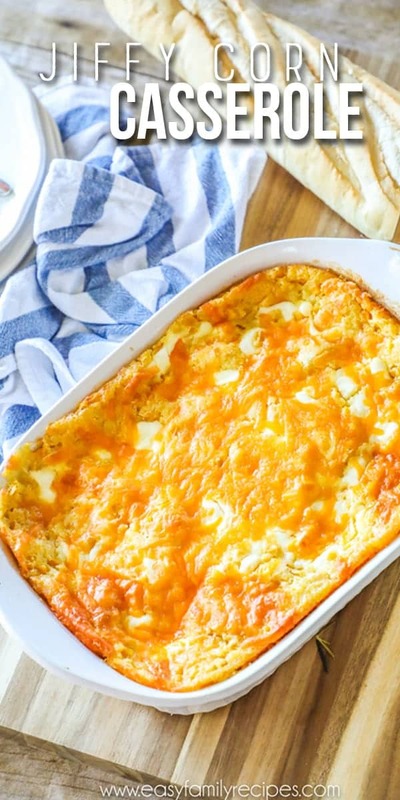 It is rich, creamy, cheesy, and side dish that both adults and kids will devour! 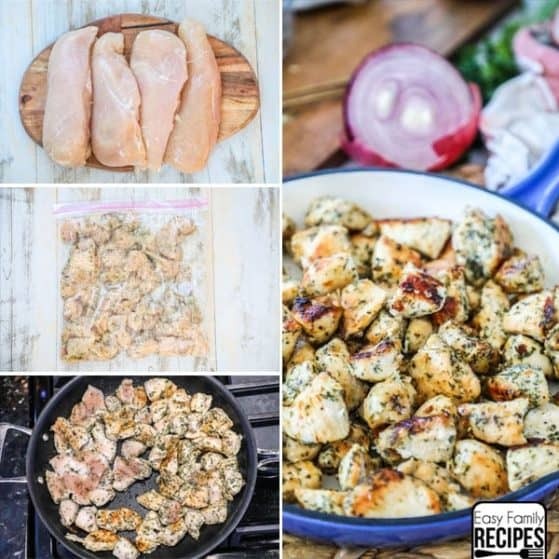 If you need a little something extra to add to your menu, this is it! The first time I had this cheesy corn casserole 13 years ago, I knew I had been missing out on life up to this point. To say it is delicious is probably a gross understatement. It is AMAZING! 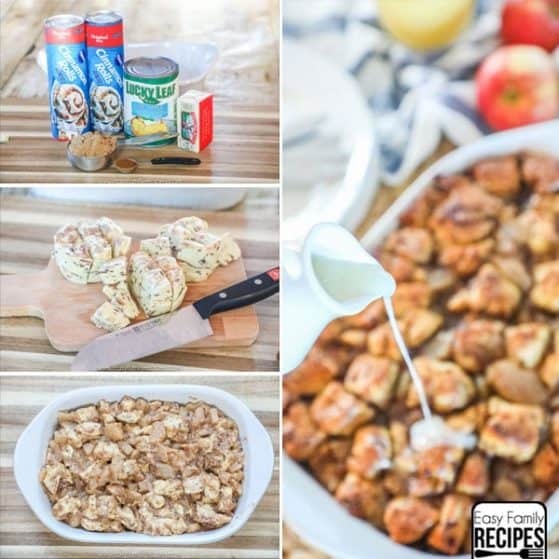 My friend Brooke had made it as a side dish for our Thanksgiving dinner and despite all of the delicious food we had for the holiday meal, I couldn’t stop eating this casserole! Fast forward many years and I have made this hundreds of times for family, friends, pot lucks, barbecues, and of course, Thanksgiving and Christmas dinners. It always gets the same rave reviews! 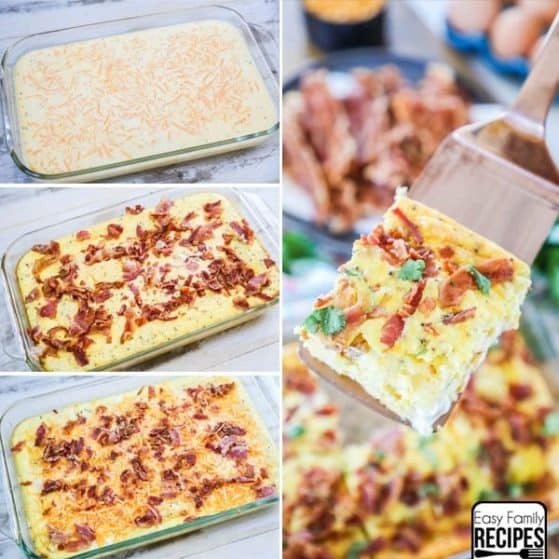 This recipe might be similar to other corn pudding recipes out there, but I think there are a couple of things that my sweet friend Brooke did in her recipe, that make it even better than the norm! 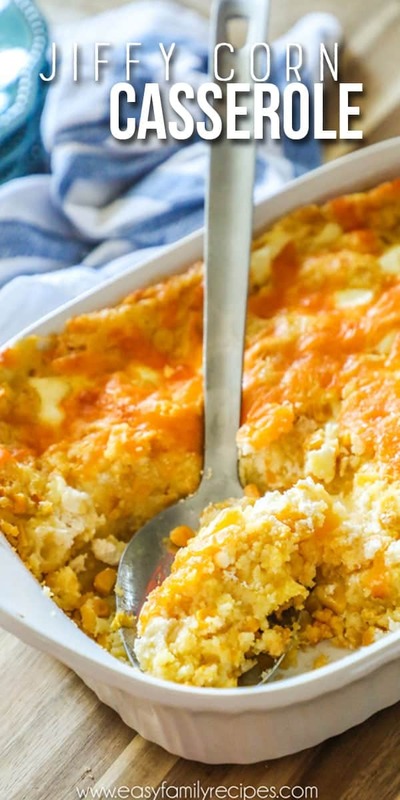 I have always called this Jiffy Corn Casserole, but it also often called Corn Pudding. I have to be honest, neither name makes this sound as crazy good as it is! Basically it is a little bit like corn bread, but more creamy and rich, and almost custard like. 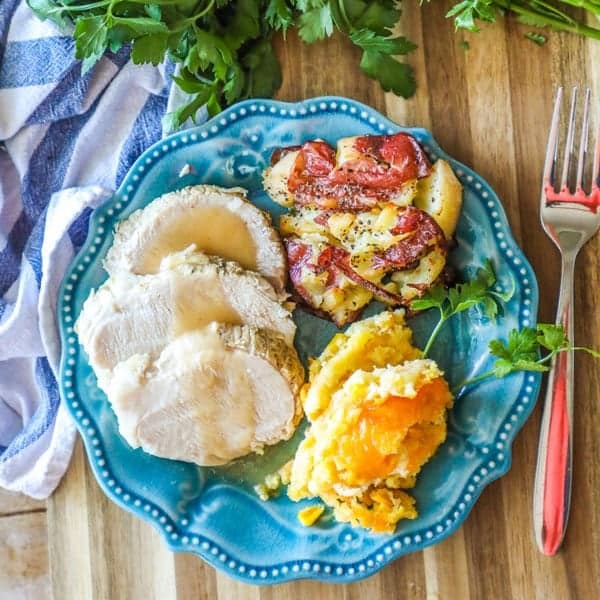 It is traditionally served at Thanksgiving and Christmas dinners, but I think it makes a great side dish, not only then, but also for pot lucks or barbecues since it is a crowd pleaser with flavors that everyone loves! 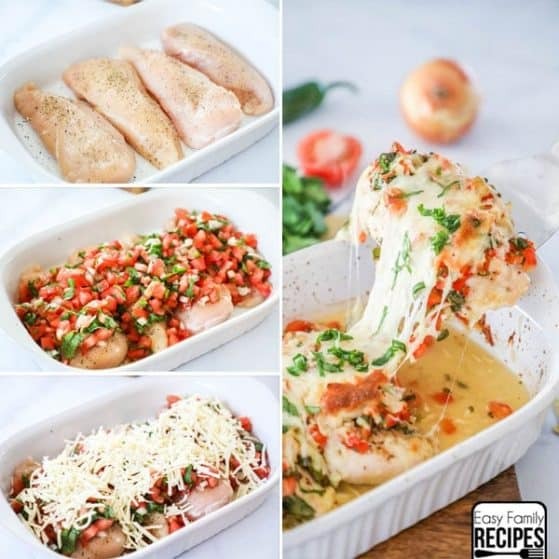 I actually think it makes an awesome side dish for every day recipes like these baked chicken fajitas too. If you are looking for cornbread, then try my favorite cornbread recipe here! 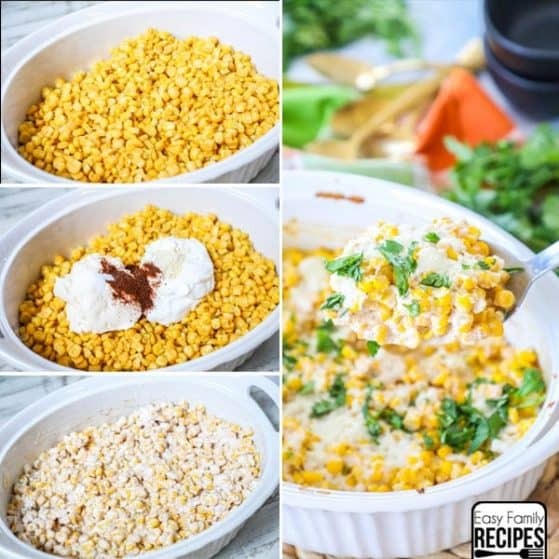 I am going to walk through the recipe for you step by step here, sharing all of my tips and tricks on what makes this corn casserole the BEST corn casserole and how to do it with the least mess. 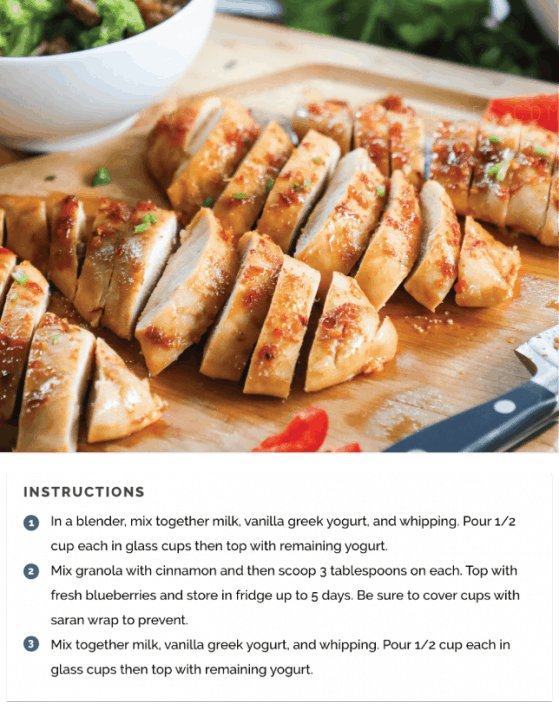 If you just want the quick version, you can feel free to skip down to the recipe card below. 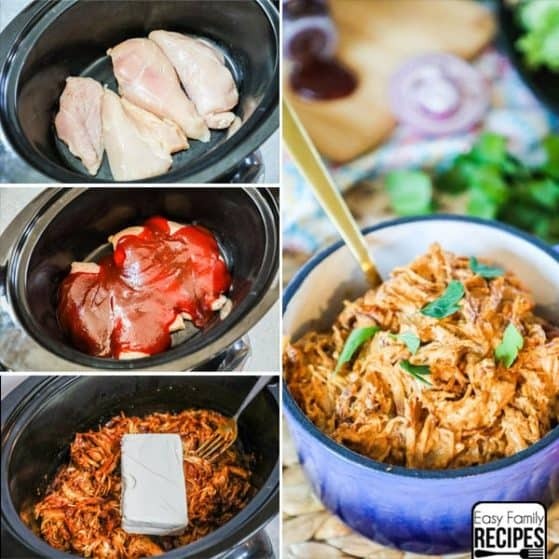 The best part of this recipe is that you only need 7 ingredients to make it and you can do the whole thing in one dish, including the mixing, so really all you have to wash is a mixing bowl and spoon. Now the secrets to this recipe are two things. First the Jiffy corn muffin mix. You can’t use another brand. It really just isn’t the same. Trust me, I have tried! Second, pay attention to how I do the sour cream. 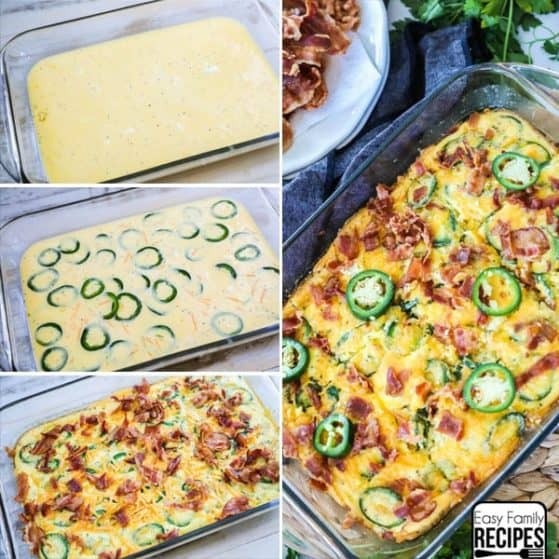 That is what really makes this casserole stand out! 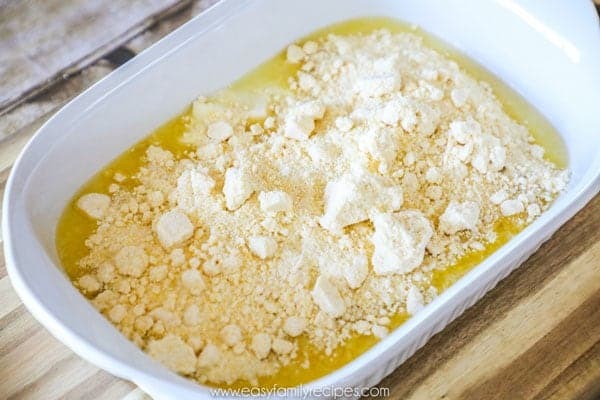 1/2 cup butter, melted– To make this super simple and mess free I always start with the butter. Once you take a stick out of the fridge, just put it into the casserole dish and stick it into the microwave (or oven if it is already hot) and it can melt right in there in just a minute’s time. 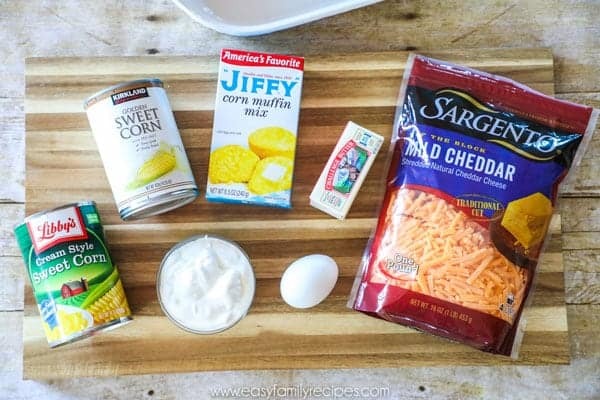 1 box Jiffy Corn Muffin Mix- Again, I can’t stress this enough…. Use Jiffy brand corn muffin mix. Just the classic blue box just like the photo. They also sell a vegetarian version which might be just as good, but I haven’t tried it yet! 1 can corn (not drained)- Use any brand you want! I use regular (not low sodium) canned corn and you will use the whole thing, juice and all. 1 can creamed corn- Again, any brand you like, in the original variety. 8 oz (about 2 cups) cheddar cheese, shredded- I like to use sharp cheddar most, but mild or medium will work perfectly too! 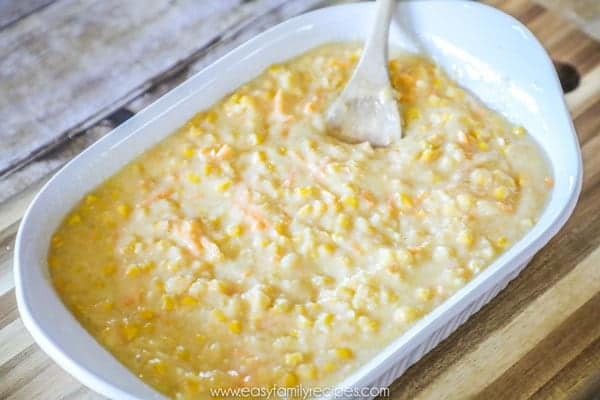 In a medium-large casserole dish, add the melted butter, Jiffy mix, corn, creamed corn, egg, and half of the cheddar cheese (about 1 cup.) Mix until everything is combined. 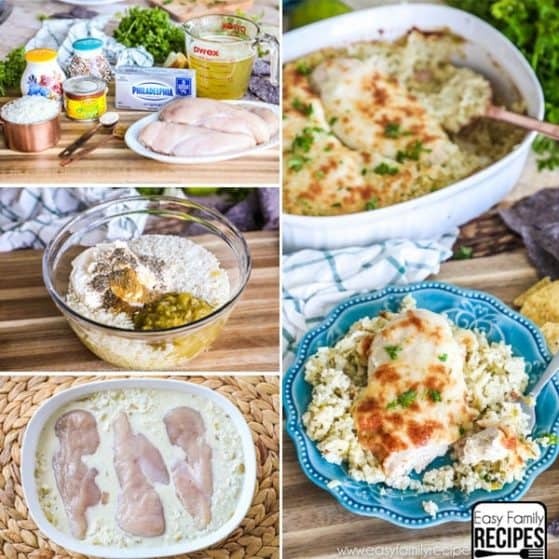 If you use the tip above to melt the butter right in the dish, then mix all the ingredients right in, you can make this whole recipe only getting the casserole dish and 1-2 spoons dirty which is a huge help when you are cleaning up! Dollop the sour cream evenly over the top, then use a knife to gently swirl it into the casserole. Sprinkle the remaining cheese over the top. This my friends is the secret sauce in this recipe. 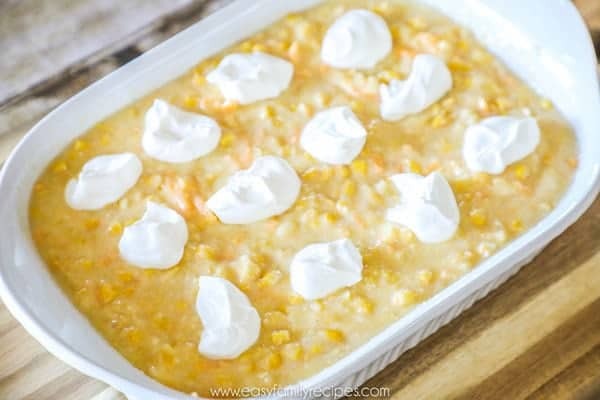 In some corn casserole recipes you mix in sour cream, which I am sure is yummy, but by dolloping and just running the knife through it to swirl it in, it gives you this hint of a great tangy flavor that goes perfectly with the more sweet taste of the corn. 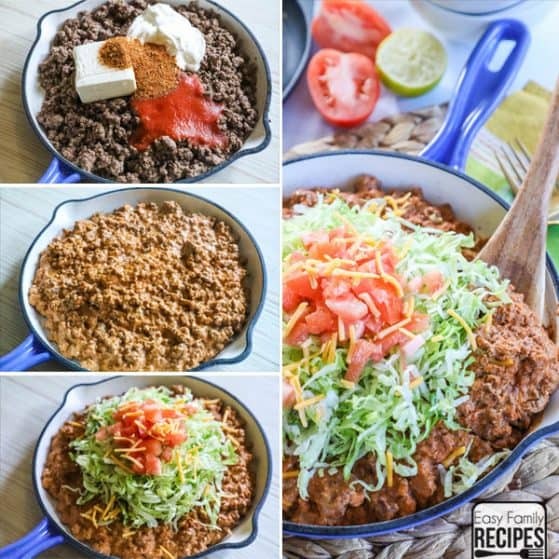 To do this just spoon on small bits of the sour cream evenly over the top, then just run a knife through in all directions so that it distributes it a little, but doesn’t completely mix it in. Bake on the middle rack in the oven for 40-45 minutes or until the middle is set (cooked through.) If you gently shake it, the casserole shouldn’t jiggle. If it jiggles, then it needs more cook time.Depending on how large your dish is, and respectively how thick your casserole is, it might take a little longer or less than this, but this is a good start that will cover most dishes. It should be thick and creamy, a bit custard like, but not liquidy. Remove from the oven and let it cool for 5 minutes to set. Serve warm. Enjoy! I really hope that you and your family love this every bit as much as we do! 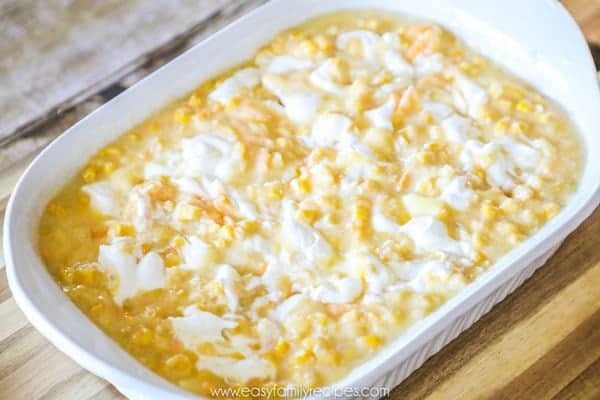 If you get a chance to make this Jiffy Corn Casserole, I would love it if you left me a note in the comments. Or if you are on Instagram, snap a pic and tag me @easyfamilyrecipes in you stories or on your feed so I can see what you are cooking up! 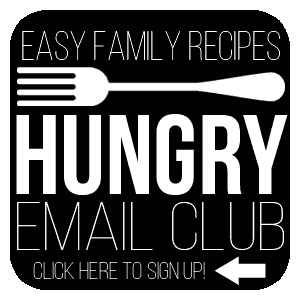 Before you go, if you are like me, and need a regular rotation of recipe inspiration, then the VERY best thing you can do is sign up for my e-mails (for FREE!) 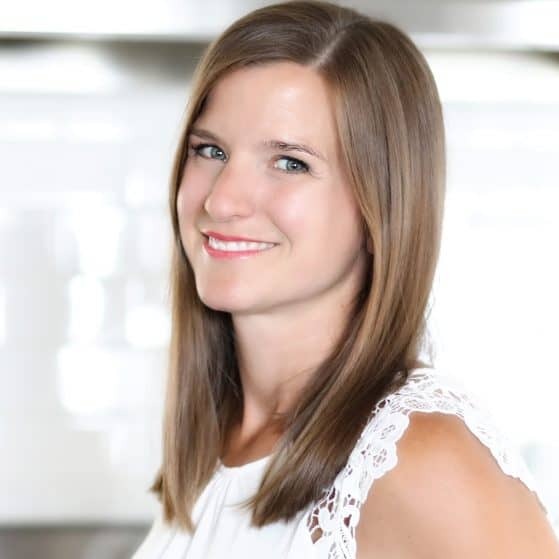 to get a note in your inbox on what new recipes I have cooked up lately and maybe a side of every day life each week. You can sign up by clicking here or click on the button below. 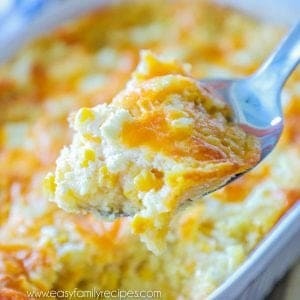 This is the BEST corn casserole you have ever had! It is rich, creamy, cheesy and super delicious. The secret is the Jiffy corn muffin mix and the sour cream swirl at the end! 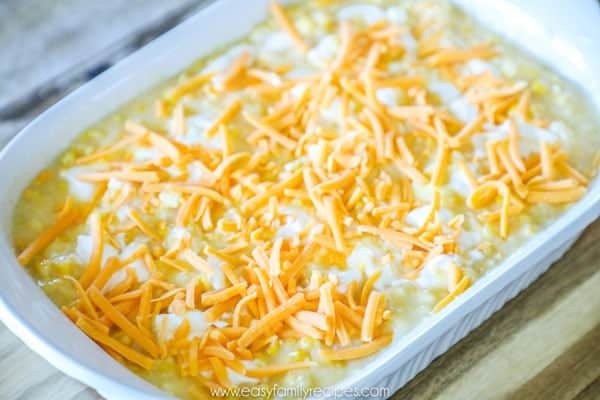 In a large casserole dish, add the melted butter, Jiffy mix, corn, creamed corn, egg, and half of the cheddar cheese (about 1 cup.) Mix until everything is combined. Dollop the sour cream evenly over the top, then use a knife to gently swirl it into the casserole. Sprinkle the remaining cheese over the top. Bake on the middle rack in the oven for 40-45 minutes or until the middle is set (cooked through.) Remove from the oven and serve warm. Enjoy! Store leftovers in an air tight container in the refrigerator for up to 3 days, or freeze for up to 3 months. Can you make it eithout cheese? Some of my friendsdont like cheese. I have made this recipe several times sms always without the cheese and it’s DELICIOUS!!!! This was a new casserole I made this year for Thanksgiving. 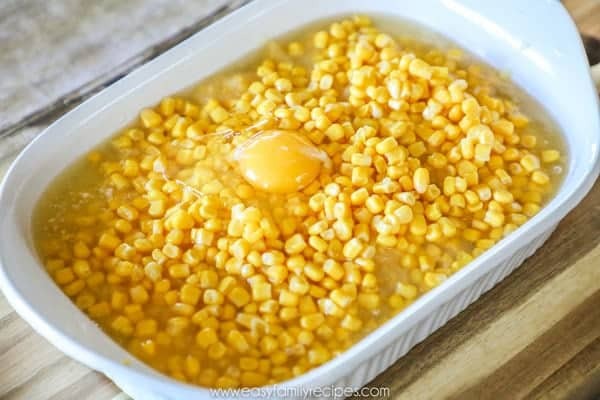 We have made “corn pudding” for years and it was only Ok. This was completely gone at the end of Thanksgiving and all I could hear was how good this was and everyone wanted my secret. This will be served and requested for all of our family holidays. Hi just made this recipe yesterday but added a can of tomatoes an chiles and I also used the lobster bay bisquit mixed because I got the wrong jiffy mix it was muffin mix lol!!! Oops, but the lobster bay bisquit mixed turned out great also just like the jiffy mix…thanks for ur recipe!!! I tripled mines have a big household!! muffin mix IS the correct kind!! 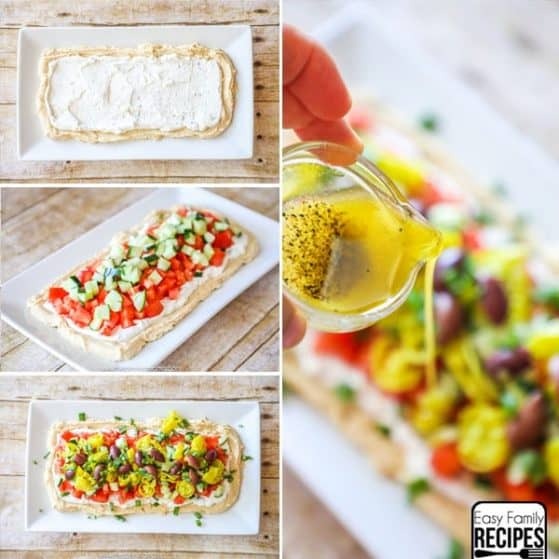 Can you make this with Greek Yogurt instead of sour cream? IWe swirled in Greek yogurt at the end because of lactose intolerance. Mix it in a tiny bit more than shown in the picture. It was awesome. The leftovers from our two pans were eaten the next morning after Thanksgiving. Sharp cheddar is virtually lactose free too. Carmelized onions on top of the corn with sour cream on top then topped with cheese. It’s a great meal when paird with chili!